For cinema-lovers, this is where it all began. The Cinematograph was born rue du Premier-Film, in the heart of Lyon’s Monplaisir neighbourhood, where only the factory shed “le Hangar” and the majestuous Villa Lumière today remain. The Musée Lumière pays homage to Louis and Auguste Lumière and showcases their finest discoveries in the elegant setting of the family home with its richly crafted ceilings, monumental staircase and winter garden glass roof. It was in 2002 that Dominique Païni, at the time Director of the Department for Cultural Development of the George Pompidou Centre designed the scenography of the current visit that takes visitors on a journey through the three floors and twenty-one rooms. The museum of course gives centre stage to the Cinematograph, the Lumière brothers’ most famous invention. It re-situates the Cinematograph in the long history of animated images from the magic lanterns through to the prototype that Louis developed for his first film tests on paper in 1894. Thanks to the collection of historical devices collected by Doctor Paul Génard and acquired in 2003, the exhibition presents essential technical masterpieces such as Edison’s kinetoscope, the Demenÿ chronophotograph or the “N°1” Lumière Cinematograph that screened the first ten films on 28 December 1895, at the Grand Café in Paris, before the 33 spectators of the first fee-paying public screening. 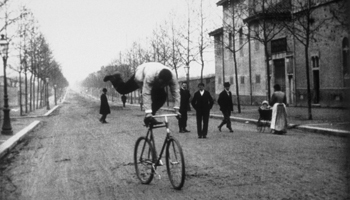 A few weeks later, Lumière operators began to travel around the world to film other countries and other lives. The films screened on the museum screens tell the story of their curiosity, their framing skills and their aesthetic taste. A room is dedicated to Gabriel Veyre, the most famous of these adventurers, who filmed and photographed both in Latin America and Asia. The Lumière brothers were without a doubt ingenious engineers: designing devices as strange as the Photorama (for 360 degrees panoramic pictures) or the stereoscopic projector (for 3D films, way before Avatar). With the success of the “dry plates”, they were prosperous industrialists - as the mock-up of the factories or the collection of advertisements with their vintage charm illustrate. No photography without … Lumière. But they were also artists. This double vocation is showcased in the part of the museum that is dedicated to the Lumière brothers’ other great invention, the Autochrome plates, the ancestors of what we today know as slides and which at the time, made reality in colour available to the general public. The exhibition shows how ingenious Louis was when he created this plate since it combines a microscopic mosaic of coloured grains of potato starch. We are also able to admire the uses that the Lumières made of this process as photographers thanks to the images that we can view by transparency and that are reminiscent of impressionist paintings. 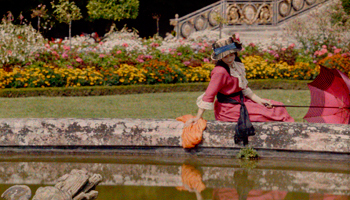 The stereoscopic photos taken by the wives and members of the Lumière ‘clan,’ using Jules Richard’s Verascope, also provide a magnificent testimonial of the daily life of a bourgeois family at the turn of the nineteenth and twentieth century. Beyond the image, the two brothers also showed great interest in a wide variety of fields such as sound, mechanics or medical research. 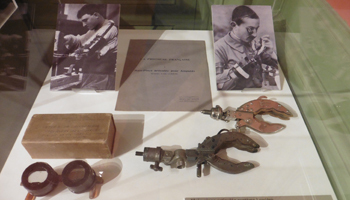 The exhibition also casts a spotlight on the surprising articulated ‘pincer hand’ designed by Louis Lumière to relieve amputees from the First World War and the famous 'Tulle gras' dressing that Auguste developed during the war to improve the healing of burns and wounds. Today, contemporary multi-media devices, digital tablets and an audio-guide in five languages enable visitors to understand the inner workings of two insatiable men, two lives that were wholly dedicated to the invention of modernity. Visit the museum every day from Tuesday to Sunday from 10 a.m. to 6.30 p.m.